Some writers develop the character first, and once fully formed, the story arrives to surround them. Some writers are the opposite, getting that story idea first, and then populating it with life. And of course some writers create with a combination. Those sentences are nothing new to anyone who’s been writing a while. And I’m not here to say you have to develop characters a certain way. I just want to pause a moment and think about this because for the past two years I have been haunted by a character. My normal process comes from the ‘what if’ question. I see or hear something, or have some random thought from outer space, and immediately think, ‘well, but what if…’ and away I go. Usually I know the very last line of the story before anything else, and then figure out how to write my way there. The characters come along after the ‘what if’ light bulb flashes. After radiation treatments a couple of years ago, my writing process changed dramatically. And one of those changes involved my brain being introduced to a fully formed character. I can picture her, hear her, know all her motivations, how she will react. And yet for two years I have not found a story for her to populate. Over the months I have pondered her internal wounds and jotted down her back story. I’ve tried to write a story for her and have many beginnings that have ended. In the meantime I have been finding my way back to writing, and have finally started a sequel to ‘The Memory Keeper’. And guess who showed up in the story? She’s a secondary character, the plot won’t revolve around her, she’ll be a path to friendship for the main character, and this time, it feels right and the words are flowing. This character has stubbornly hovered out of reach, waiting for the story she belongs in. I now see that this one I have started will be her stepping into life, staying in the background, and working her way slowly toward a story of her own. This is one character who was smarter than me. I love the mystery of writing. 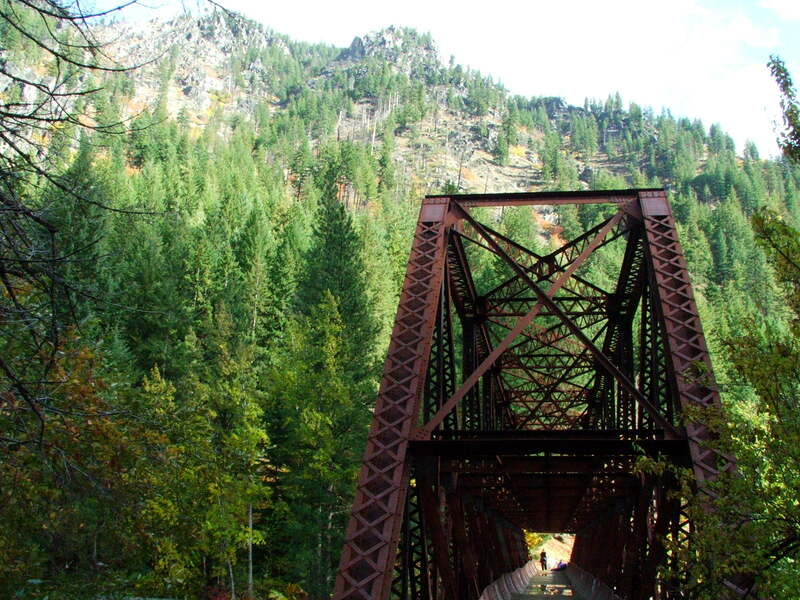 Speaking of mysteries, take a look at this photo of an old railroad bridge (now foot bridge) over Icicle Creek. Don’t you want to cross into the wilderness? Don’t you want to see who that is at the end and why they’re standing there, and where they’re going, and if they’ll let you pass? Talk about the ‘what if’ question. I’m glad your character is finding her way into the light. The process of your discovery sounds wonderful. Lately I’ve been turning out word sketches of characters like drops of rain. I keep thinking I should concentrate on someone long term, but I haven’t. It’s as if it isn’t time yet. I’m trying not to worry about it. I like your description of characters forming like drops of rain. That’s so true. And you’re right that when they are forming like that, it’s too soon to think long term. It’s like gestating a pregnancy. That’s what was so odd about this character. I really need to find just the right story for her to star in. The bridge in the photo leads to a trail my family likes to walk. On this fall day, the person at the far end was a rock climber coming back from a day of bouldering (as he told my son). I didn’t want to hear the reality though. I wanted to walk the bridge with imagination flying uncontrolled.